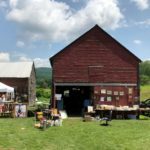 Antique Show & Flea Market – even better than last year! 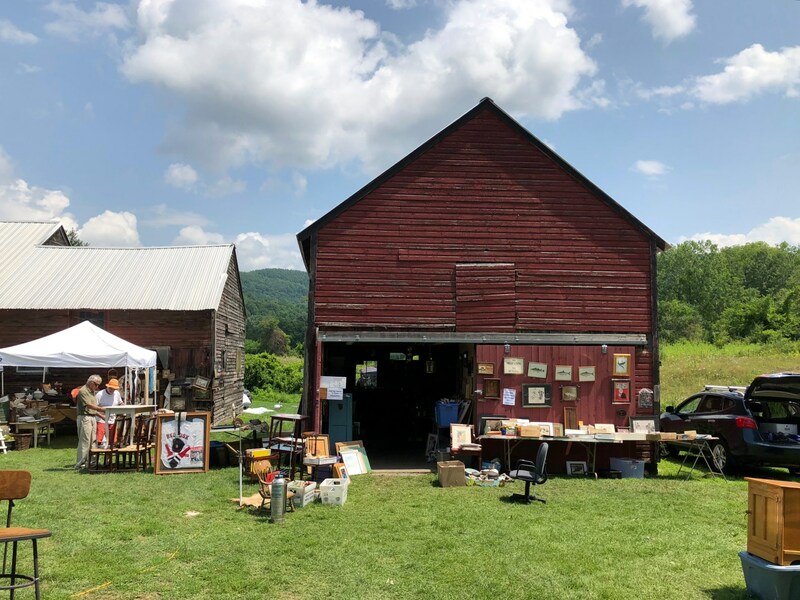 The morning clouds parted, the sun came out, and a record number of vendors covered the beautiful lawns of the Wheeler Farmstead on Saturday, July 28–and sellers returned on Sunday, too! The second GBHS annual Antique Show & Flea Market was a great success. 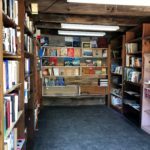 New this year was the Book Nook, where buyers paid only $1 for most books and magazine copies, and a bit more for those specially priced (and more valuable) items. 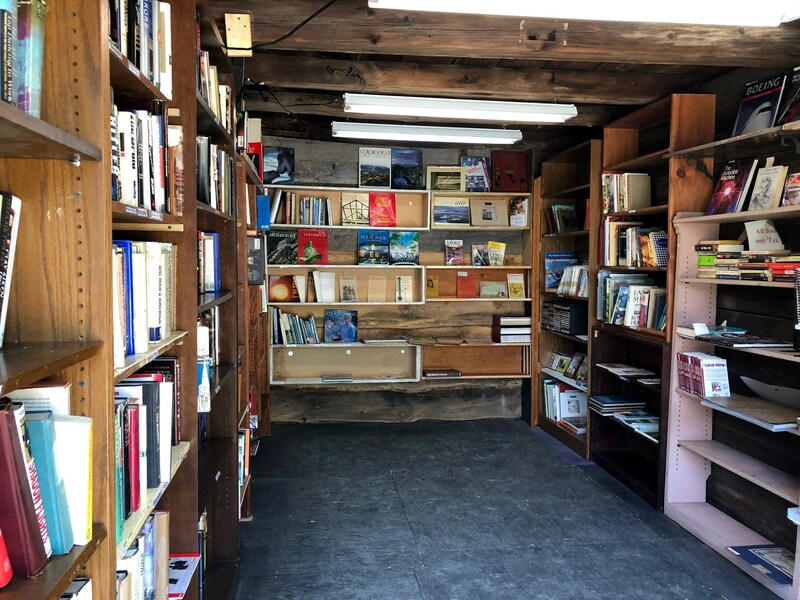 The Nook was the idea of GBHS members Rob Tepper and Gary Leveille, who installed and labeled all the shelves and the lighting fixture, and moved lots and lots of books from the Dutch Wagon House. Visitors to the Farmstead will be able to shop at the Nook year round whenever the Museum is open. Donations of books and magazines are always welcome! 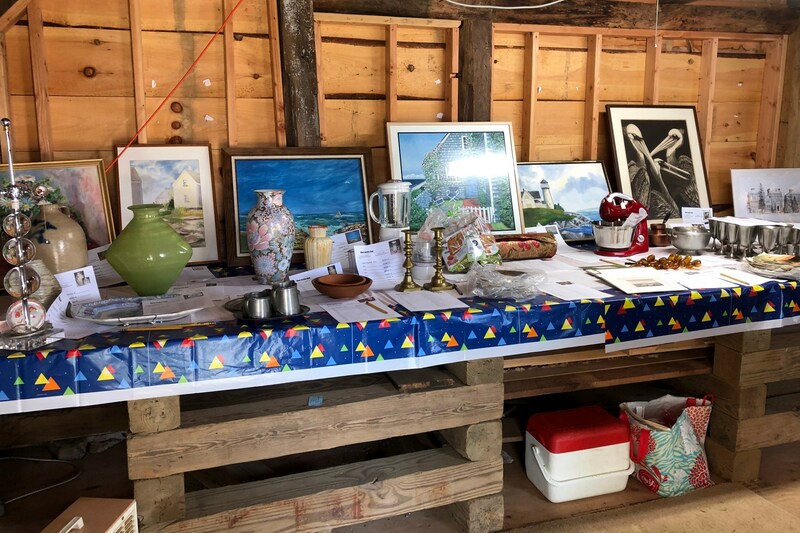 Charles Flint Fine Arts & Antiques was back doing appraisals–and this year a popcorn wagon joined the coffee, donuts, and water sold on the porch of the Museum. 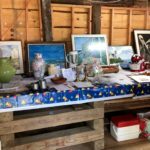 The almost-finished Dutch Wagon House was the site of the Silent Auction, as a much bigger group of items were laid out on long tables. Shoppers strolled throughout the grounds to the sounds of The Sunday Strummers ukulele band. Finally, members Barbara Syer and Jamie Parrish were in colonial costume giving Museum tours to visitors throughout the day. The new Book Nook was a big hit with shoppers. Most books are only $1! The Society’s Red Barn contains great antiques & vintage items at reasonable prices.